Shannon is a Minnesota born artist who has been performing for over 25 years. She began in dance at a young age and continued on to musical theatre, dramatic theatre, film and television. She had been singing with bands of all genres for nearly a decade, but once the rockabilly rhythm caught her, she never looked back. 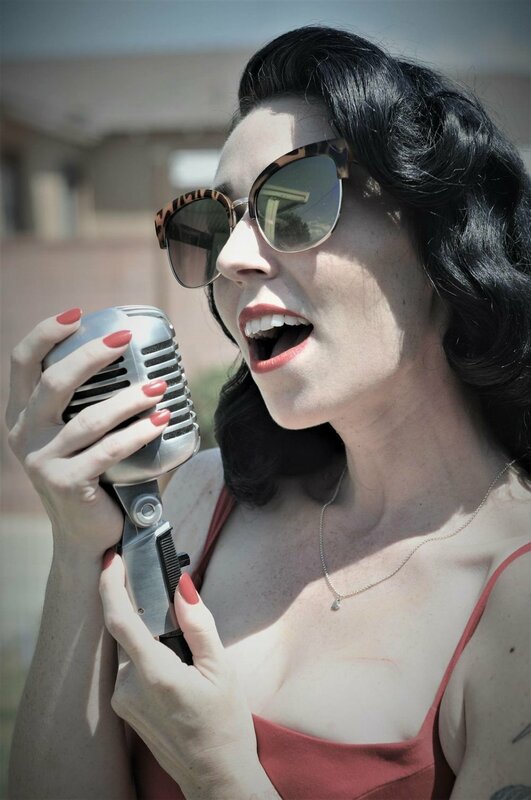 Shannon's voice carries over an array of styles, from the dulcet tones of doo wop ballads to the guttural growl of the blues. She also enjoys knitting, baking and loves her cats, Jimmy and Henry.